3/27/17 – MMS blades are finished, production of bodies can Now commence! Hoping to start assembly by early May. 4/17/17 – MMS’s are getting anodized as I type! Should be off to laser by end of the week and final assembly for the MMS should start by end of April! MS-v2 bodies are almost ready for production. 4/24/17 – Miter square blade samples came in not to spec, we are working hard to get the blades produced by another outfit. We are hoping to start assembly in 6 weeks. 5/4/17 – MMS-1’s have landed and we are finishing up final assembly. The Miter Square components are still being made. 6/19/17 – Blades have been cut, we now begin the process of hand flattening to achieve perfect parallelism. 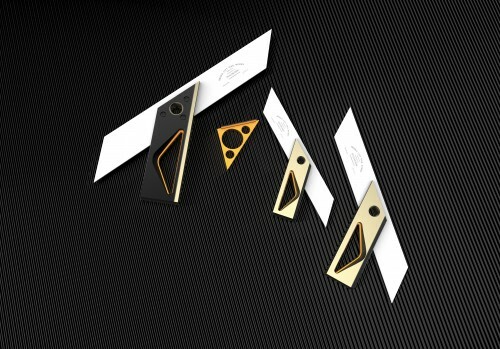 Bodies can now be made to fit the blades perfectly. 6/29/17 – Blades are still being flattened, this is a tedious skillful process, we are looking at about 1-2 weeks of more hand flattening for each piece before we can send them out for surface finishing. 7/13/17 – We had some delays trying to get the CT-19 finished, causing us to halt production on miter squares. We will finish flattening the miter square blades by end of next week so they can be sent off to be bead blasted and passivized. 7/20/17 – Blades are still in the process of being flatted and brought in to parallel. The process is taking a bit longer than expected, but we are roughly half way through the run. We are at the stage where the 45 degree tip is ground flat and calibrated, this process takes the longest as we have to work on each blade individually. 7/27/17 – all blades have been hand flattened and brought in to parallel. They have been sent off to get media blasted and passivated this Monday. A process which creates a uniform matte finish that provides more corrosion resistance than your standard bare stainless steel. This process typically takes 2-3 weeks. 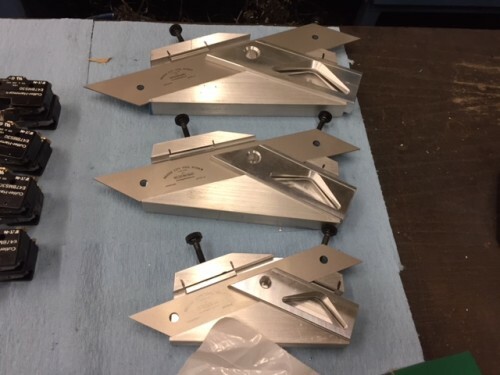 After media blasting and passivization, parts will be sent to be laser marked with the BCTW logo, then sent to the machinist who is making the body components so he can custom fit each blade to its body. 8/17/17 – Blades are 100% complete and are at the machinist now for custom fitting to the bodies. Our vendor has to create a custom too to get the perfect fit for the blades in the main body of the part. We are looking at a 2-3 week lead time for the bodies to be machined. 8/24/17 – Bodies are in process and parts are flying off the machines we are hoping to get these parts off to the anodizer by the end of September! 10/5/17 – Bodies are finishing up at the machinist, we had a slight delay on a machine operation. We are looking at another two weeks out before bodies are ready for anodizing. 10/26/17 – Parts are going off to the anodizer Monday Morning. This process typically takes two weeks then. After Anodizing, all that remains is assembly! 11/9/17 – Parts are at anodizer for another week, then assembly. We are estimating the assembly will take about a week. 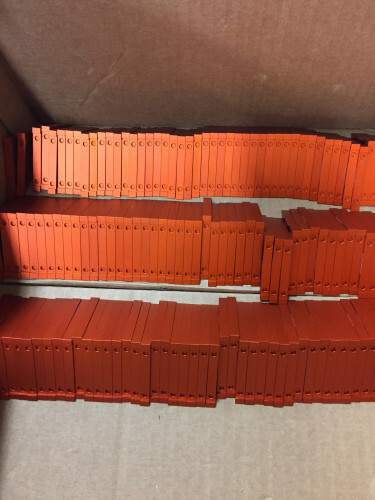 11/22/17 – Parts are back from the anodizer and we begin assembly next week! Thank you for your patience on this one! 11/30/17 – Miter squares should be packaged up by end of next week! We hit A bit of a snag in production trying to finish out the CT-19 run. we just have to finish flattening the 2″ blades and then they are off for final treatment. our Apologies for the wait!